Jonathan joined Watsi on March 18th, 2014. 12 other people also joined Watsi on that day! Jonathan's most recent donation traveled 8,500 miles to support Joseph, a baby from Kenya, to fund corrective surgery. Jonathan has funded healthcare for 57 patients in 13 countries. 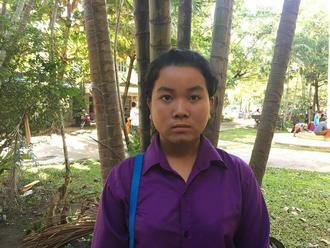 Heab is a ninth grade student from Cambodia. She has three brothers. She likes to eat soup and stir-fried vegetables. She wants to be a teacher when she grows up. Five years ago, Heab had an ear infection. This infection caused the tympanic membrane, or the ear drum, in her right ear to perforate. For this reason, Heab experiences tinnitus and ear discharge. She cannot hear well and has ear pain. Heab traveled to our medical partner's care center to receive treatment. On September 6, she will undergo a myringoplasty procedure in her right ear. During this procedure, surgeons will close the perforation. Our medical partner, Children's Surgical Centre, is requesting $423 to fund this procedure. This covers medications, supplies, and inpatient care. Her mother says, "I am worried about my daughter's ear problem and pain. I hope she can be better after the operation." Eskel is a baby from Kenya. He has two older siblings. The family lives in a one-room house in the Rift Valley region. Eskel’s father is a subsistence farmer, while his mother operates a grocery kiosk. Eskel has been diagnosed with hydrocephalus, a condition in which excess cerebrospinal fluid accumulates in the brain and increases intracranial pressure. As a result of his condition, Eskel has been experiencing an increasing head circumference and prominent scalp veins. Without treatment, Eskel will experience severe physical and developmental delays. Our medical partner, African Mission Healthcare Foundation, is requesting $685 to cover the cost of surgery for Eskel that will treat his hydrocephalus. The procedure is scheduled to take place on May 16 and will drain the excess fluid from Eskel's brain. This will reduce intracranial pressure and greatly improve his quality of life. With proper treatment, Eskel will hopefully develop into a strong, healthy young boy. “We are praying that God gives health to our son especially after the operation. 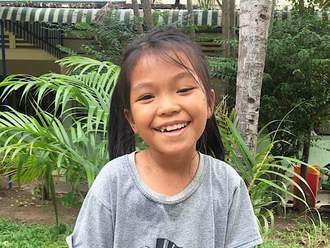 I am grateful that we could get financial help,” says Eskel’s father.